Our project will culminate in the sponsorship of 2 new Little Free Libraries for Tacoma. The Rotary Literacy Committee and Tacoma Community House have been helping us identify areas with a need for greater access to books. 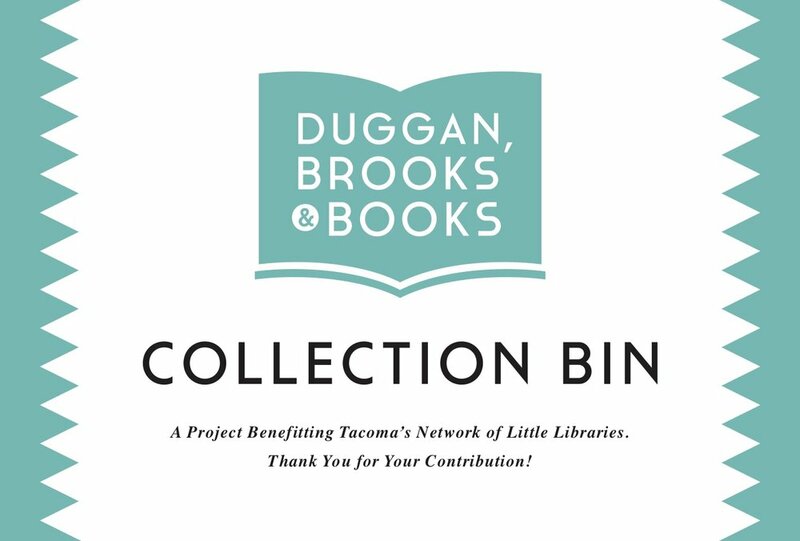 We’re so excited so share the locations of our 2 new libraries for Tacoma! We’ll be back later with that announcement, so stay tuned. …to this. Ahh, much better. 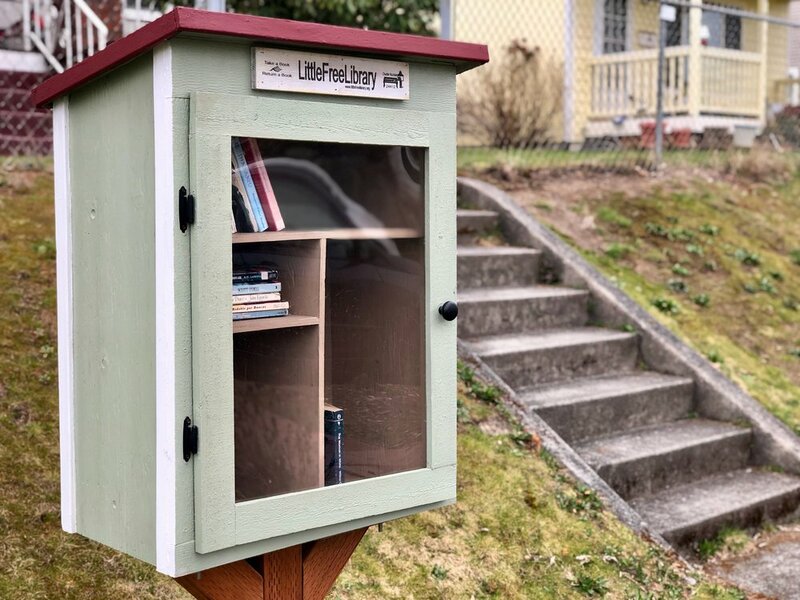 Another of Tacoma’s one-of-a-kind Little Libraries. Spotted this one around S 25th & J. There’s a gate with a matching heart design at the house too. So cute! Little Free Libraries are mini libraries outside homes. Folks can purchase kits, or design their own. Little Free Libraries are free to use and open to everyone. They’re here for all of us and they’re meant to be used and shared! Meet Julia, her husband Trevor, and their 2 girls. Julia is a Hilltop Tacoma resident and steward of a Little Free Library on South M Street. The whole family turned out to introduce me to their neighborhood’s library. Let’s fill it with books! 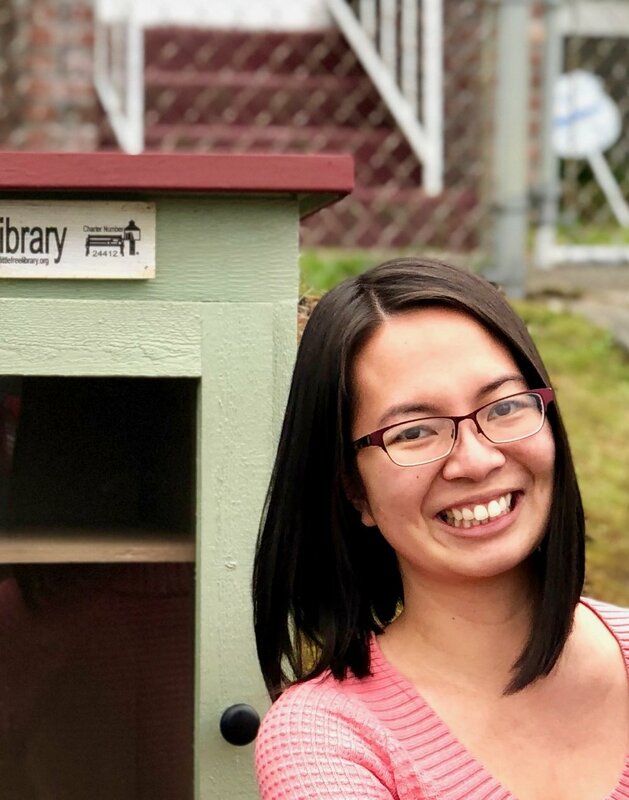 We’re so grateful to Julia for sharing her thoughts and ideas about Little Free Libraries! Meet Julia. She and her husband Trevor, along with their family, are caretakers of a Little Free Library outside their home on S 16th & M St in the Hilltop. Julia and her family care intensely about the Tacoma community in general, and the Hilltop Neighborhood they call home in particular. They work hard and think hard about equity, education, and community development. The little library outside their house is just one tiny glimpse of that. Read all about this neighborhood library below, then find out how you can support it! The M Street Branch is coming up on its 4th anniversary! Once you know to look for little libraries, you’ll start to spot them all over the city. Try playing some “I spy” in the car while you drive, walk, or cycle around. 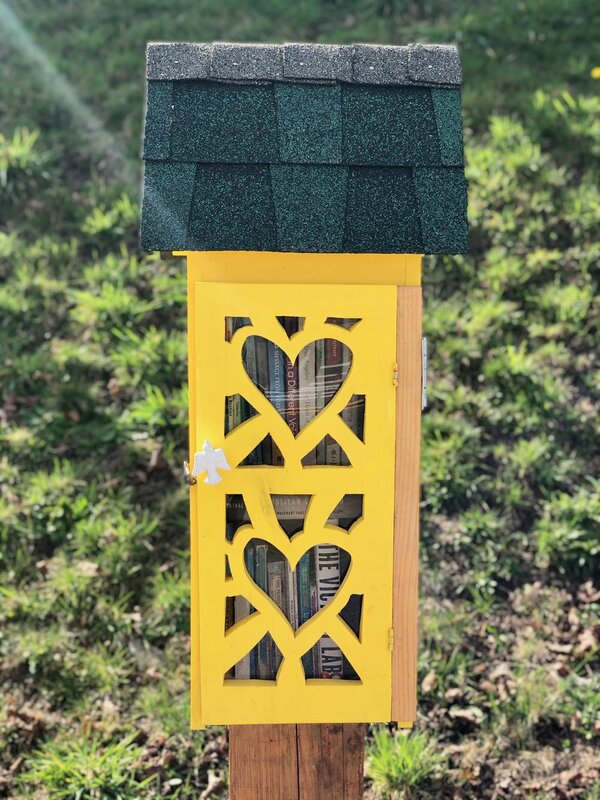 If you’re curious about Sally Perkins’ little library referenced above, just keep an eye out when you’re driving along S 15th St through the Hilltop. Hint: look for a beautifully tended garden on a corner lot. Notice the Charter Number on this library. Libraries officially registered with Little Free Library show up on searchable maps managed by the nonprofit. Take note for the book drive! Who has some kids books and YA literature to pass on? Help us stock the M Street Branch with all kinds of good books! Read about our book drive below. Help! Who can repair the broken door? Just after publishing this story, we learned from Julia that the pane of plexiglass in the library’s door has been broken! This is so sad. If you have the skills and willingness to help get this fixed, please let us know! Send us a message on our Facebook or Instagram pages, or get in touch through our contact page. Dr. Jamie and her son making a special delivery to stock one of our featured little libraries. Let’s keep filling those libraries. Thanks so much for the book drive contributions coming in so far! Older PostThe April Edition: 22 Tacoma Events!